Embraer estimates that the Asia-Pacific region, including China, will see 1,710 new deliveries by 2036, and the total in-service fleet reach 1,790 aircraft over the same 20-year period. 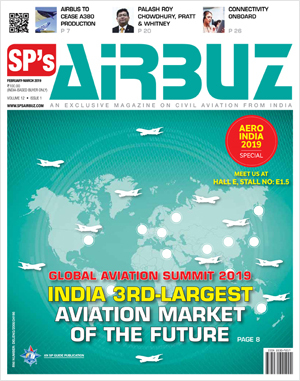 Identifying Asia-Pacific as one of the most promising markets for the E-Jets, in a one-on-one with SP’s AirBuz, Cesar Pereira outlines his vision and plans for the region. 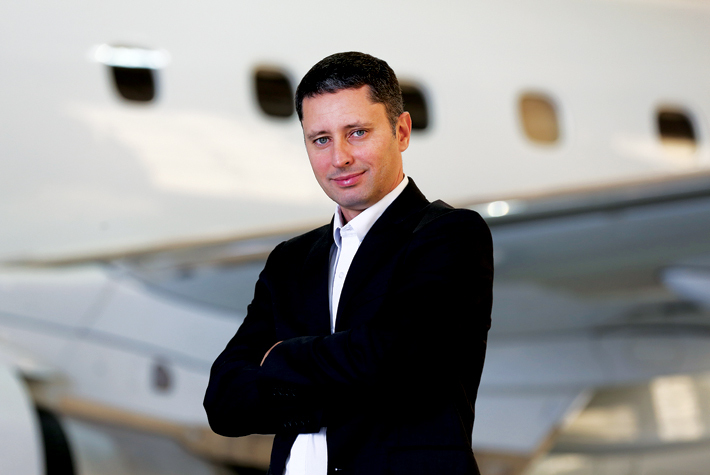 Cesar Pereira is the newly appointed Vice President of Commercial Aviation for Asia-Pacific. Cesar has been working at Embraer for 14 years and prior to his current role, he was the Head of Consulting at Embraer Commercial Aviation, where he worked hand in hand with airlines to shape their planning and strategies. SP’s AirBuz (SP’s): How do you feel taking over the responsibility of Asia-Pacific region? Cesar Pereira (Pereira): Asia-Pacific is a fascinating region. I feel extremely excited about the opportunity to learn about the region and its specificities, but also happy to bring new insights from my previous experience of working with several airlines all over the world, from different business models. SP’s: What are your plans towards this region? Pereira: I see untapped opportunities in Asia-Pacific that our 70-130+ seat jets can unlock. The rapid growth of air traffic in the region over last decade is very concentrated on primary markets, which are over-competitive and airlines are finding it hard to make profits with their large-capacity aircraft. There are about 158 markets where there are typically four competing airlines with more than 10 daily flights, yet we have identified over 800 markets that have less than 1-5 daily flights. These routes could benefit from better frequency levels by using 70-130 seat jets. We are advocating to airlines the benefit of moving from ‘red oceans’ to ‘blue oceans’. In the 70-130+ seat market segment, we estimate an industry demand of up to 350 units over 20 years, depending on how the market evolves, which would enable India to enhance its regional connectivity. These jets would be used to grow secondary and tertiary markets and with the option of bypassing the major metro airports to avoid air traffic congestion. But enhancing connectivity while improving profitability is the key. Not by chance we call the E195-E2 the ‘Profit Hunter’. In addition of having a similar CASK as A320neo and B737 MAX 8, the E195-E2 has 20 per cent lower trip cost. But even more important, it does not erode the yields (unit revenue) as the larger narrowbodies. 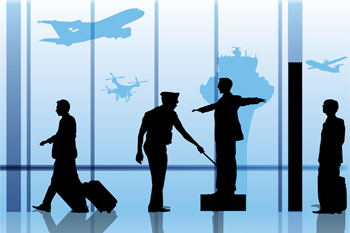 We cannot forget that airline business follows strictly the supply and demand rule. This means when airlines add more capacity (seats) to the market, the competition increases and the price drops. The outcome is not good for the airlines as they may end up losing money. Last but not least, bigger airplanes are more expensive to buy and to operate. It is proven that the E-Jets provide a higher Return on Aircraft Asset (ROaA), which is what most investors are looking for. The reason is rather simple: E-Jets provide higher profit per seat for lower invested capital. In other words, you can get higher return for each invested seat. SP’s: Which markets are the matured markets in Asia-Pacific region? Pereira: Australia and Japan represent the most mature markets in the Asia Pacific region. Generally, a mature market will demonstrate a capacity discipline where capacity is primarily added by increasing flight frequency. It also shows an emphasis on convenience, including sophisticated secondary and tertiary city networks, operating independently from major Tier-I hubs. In a mature market, there is a co-existence of regional, low cost and full service carriers, each serving and benefiting a segment of the population. SP’s: Which markets are the developing markets in this region? Pereira: The majority of markets in the Asia-Pacific region can be classified as developing markets. The first thought of course goes to China, whose growth in all segments has been well documented and reported upon. Embraer holds the market-leading position in terms of 70 to 130 seat aircraft operating in China. However it is equally important to highlight that the Indian aviation market has seen some of the highest year-on-year RPK growth rates in the world. Bearing that in mind, and looking to the broader SAARC region, we anticipate that through 2036, RPKs will grow at a compound annual growth rate of 9 per cent. 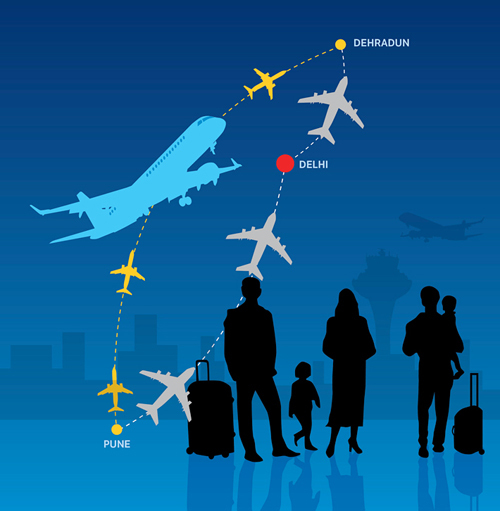 Additionally, with a large domestic population of its own, the Indonesian aviation market will continue to rapidly develop, which will have a further effect on driving greater demand for point to point connectivity through the broader ASEAN region. SP’s: Which markets are the most promising markets for Embraer Commercial in next 5, 10, 15 years? Pereira: Asia-Pacific for sure is one of the most promising markets for the E-Jets. Intra-regional RPKs grew at 8.2 per cent CAGR over the past 10 years – a trend that is set to continue, underpinned not only by increasing affordability and broadening air networks, but mainly by a combination of a massive capacity inflow in the system and the need to stimulate traffic and populate the everexpanding fleets. The Indian market has been topping the month-on-month growth in the last two years, with an RPK growth rate exceeding 20 per cent. 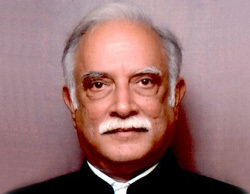 The airline industry in the member states of the South Asian Association for Regional Cooperation (SAARC), led by India, is projected to grow by 9.0 per cent CAGR by 2036 – the fastest growing region in terms of RPKs – followed by China with a projected RPK growth rate of 6.4 per cent annually over the next 20 years. This growth will place the two countries, along with Japan and Indonesia, among the ten largest passenger markets in the world by 2036. While it is clear that Asian airlines will experience strong RPK growth of 5.7 per cent annually by 2036, doubts remain if the airline industry can generate healthy and sustainable financial performance due to over-capacity and intense competition. SP’s: Technologically how would you compare Embraer E2 with A320neo and B737 MAX? Can you also indicate on specific advantages and disadvantages versus the two programmes? The E-Jets E2 is powered by Pratt & Whitney’s next generation Geared Turbofan engine which will have time to mature further when our aircraft enter into service from 2018 onwards. The combination of these attributes enables the E-Jets E2 to be the most efficient single aisle aircraft family. It is important to note however, that the E-Jets E2 family spans the capacity range from roughly 70-130+ seats, whereas the larger A320neo and B737 MAX aircraft cover the mid-160s to high-180s range. Thus our products do not compete directly with the larger narrowbodies, but instead offer a complementary option to an airline’s fleet, by unlocking the flexibility to grow into new unserved markets. Take for instance the E195-E2: it can offer a capacity up to 146 seats, it can approach the seat cost economics of the larger A320neo, but deliver roughly 20 per cent lower cost per trip. SP’s: What is the current and future contribution of Asia-Pacific region in terms of sales of your jets as per your own market outlook for next few years? Pereira: As of the end of 1Q2017, the Asia Pacific region, including China, saw 150 E-Jets aircraft in service with 13 operators. This fleet size will continue to increase if we consider our backlog and the recently announced orders at the Paris Air Show from Japan Airlines and Fuji Dream Airlines. Looking to the future, Embraer’s 2017 market outlook estimates that the Asia Pacific region, including China, will see 1,710 new deliveries by 2036, and the total in-service fleet reach 1,790 aircraft over the same 20-year period. 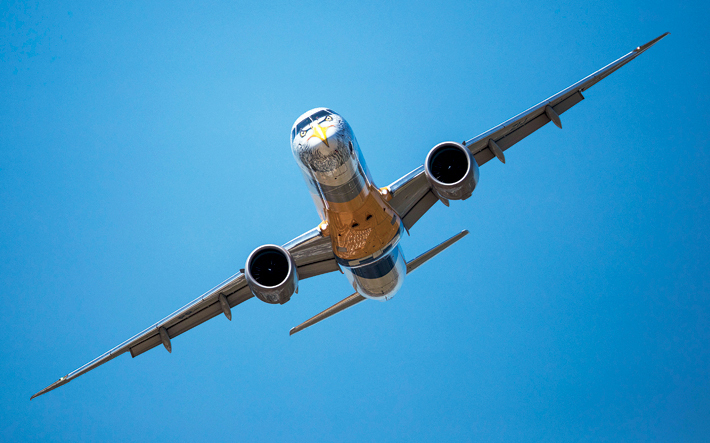 Considering that, within its segment since the 2004 entry into service of the current generation E-Jets, Embraer has maintained an approximate 50 per cent share of deliveries, we are optimistic that the E-Jets E2 will reflect a similar appeal. SP’s: Usually the perception is that turboprops operations remain economical. How do you counter this? Pereira: Inevitably, there will be a niche that turboprops offer the only viable solution for operations. This can include very short sectors, or those routes serving very short (less than 1,200 metres) or unpaved runways. However, once sector lengths begin to increase, the slower speed of the turboprop, makes it increasingly uncompetitive against the jet. In fact, we routinely see this cross-over point between turboprop and jet to lie around the 200-250nm threshold. With the low fuel price environment set to continue for the foreseeable future, the strength of the E-Jets or E-Jets E2 platform on sectors in excess of 200nm versus the turboprop will only grow -– and this is even before we consider other E-Jets attributes, such as considerably higher cargo capacity, and superior passenger comfort and experience. SP’s: In India, the hubs such as Delhi, Kolkata, Mumbai, etc remain quite congested causing chaos, wastage of aviation fuel, etc. What kind of solution do you think you can propose? Pereira: One of Embraer’s strategies in India very much involves the concept of “hub bypass”, or essentially serving 2nd and 3rd tier cities by way of direct connectivity, thus alleviating the need to connect through one of the six major metros. This bring me back to the comment I raised earlier about the complementary role of the 70-130+ seat segment with the larger narrow bodies. Given slot constraints and congestion, we recognise that airlines will generally prefer to deploy larger gauge aircraft between the major metros like Mumbai and Delhi but this is where the smaller E-Jets and E-Jets E2 aircraft can offer a complementary solution to connect those cities that could not otherwise be economically served by the larger gauge aircraft. These smaller “right-sized” aircraft offer a new strategic mindset to the airline, as it drives a shift from competing to creating new market space, and seeking out untapped opportunities. SP’s: What kind of leasing assistance Embraer provides to its potential customers? Which all types of leases – can you elaborate a little? Pereira: Both the E-Jets and E-Jets E2 programs have enjoyed considerable interest and support from the leasing and finance community. This has included some very significant direct orders on both the current generation and E2 platforms. At present, there are roughly 30 leasing companies active on the program, representing in excess of 30 per cent of the fleet.